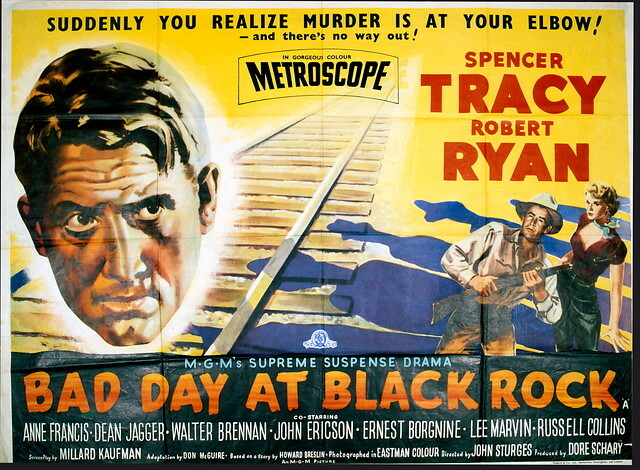 Bad Day at Black Rock is a 1955 Eastman Color in CinemaScope thriller directed by John Sturges and starring Spencer Tracy and Robert Ryan. It combines elements of the western and film noir genres. 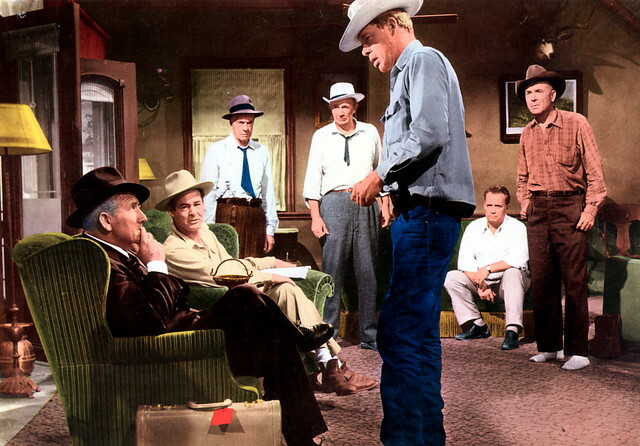 The film tells the story of a mysterious stranger who arrives at an isolated town in the southwestern US desert in search of a man. He finds the few residents to be inexplicably hostile.